Today I visited Iizaka hot spring and had a splendid bath experience. After that I tried tasting one of the local specialties of Fukushima City called Enban Gyoza. 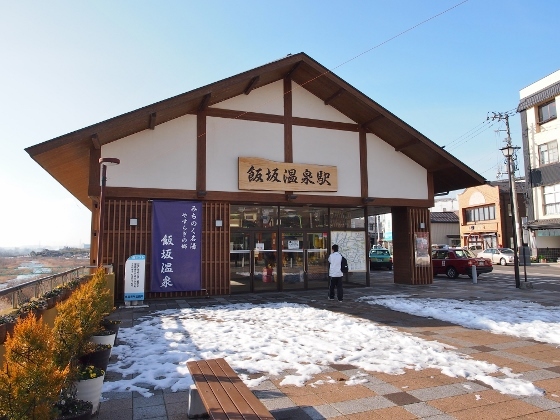 Iizaka hot spring site or Iizaka Onsen is located just northwest of Fukushima City and you can get there in about 23 min. taking local train called Iizaka Railway from JR Fukushima Station. 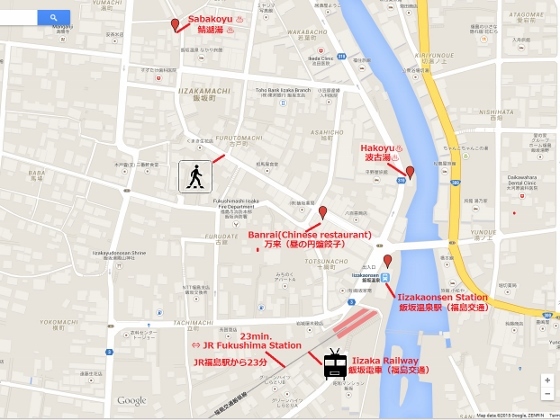 Please look at the map below for the details. You can also click the map and scale up or down. Above photo shows the Iizaka Railway train. Looks nice! 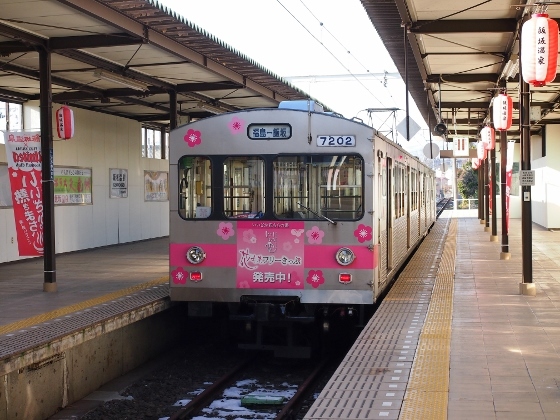 This is a local shuttle train between JR Fukushima Station and Iizaka hot spring area. It takes about 23 min. You can also get a special discount ticket (800\) which includes all day ride plus one free ticket for any public bath in Iizaka Onsen. 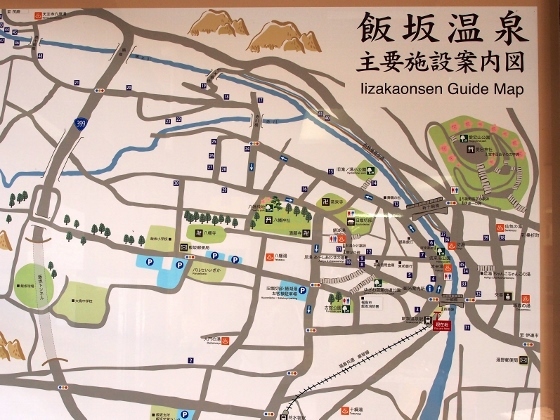 Above photos show the Iizakaonsen Terminal Station and a map of Iizaka area. Orange marks in the map show 9 public baths open to any travelers usually with some small charge. 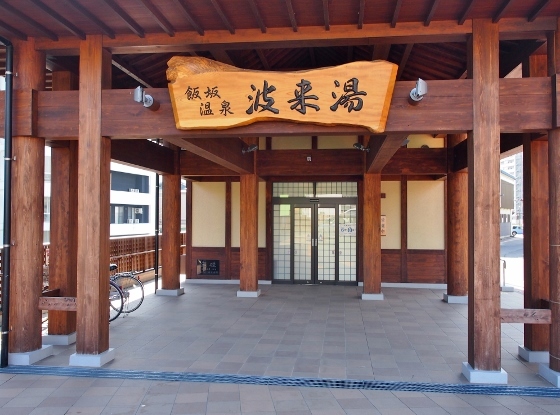 Within several minutes of walk from the station I could get to the first public bath called Sabakoyu. 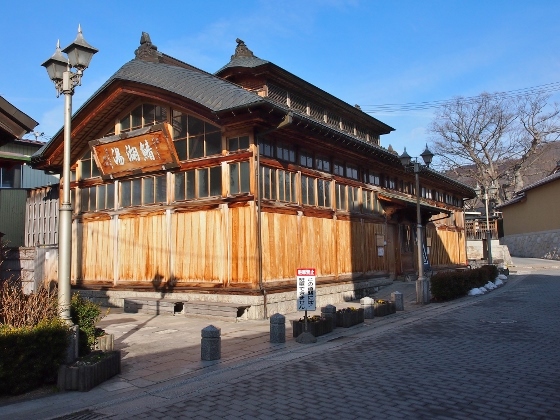 This is the original place at which the hot spring was first discovered. The simple alkaline spring source was flowing into the bath unlimitedly as it was. It was so good! The second bath was Hakoyu as shown above. A different but similar spring source was there and it had some shower facilities also. Both of the above baths had locker facilities for security. On the way back I tried tasting one of the specialties of Fukushima City. 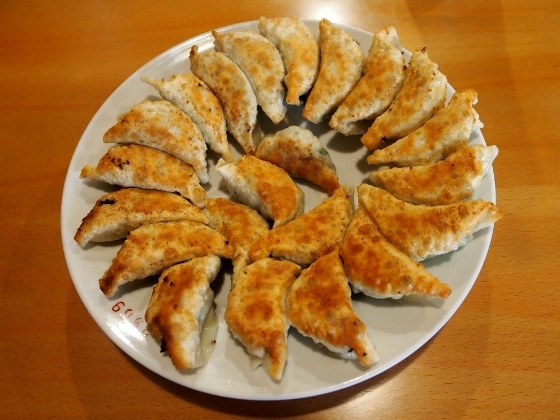 This is called Enban Gyoza which is many pot stickers seated round on a platter as shown above. And I had this dish at a small Chinese restaurant called Banrai shown above. It was good. 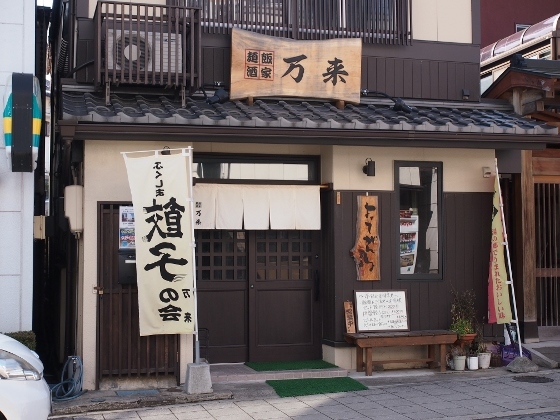 This was the only shop near the station which served Enban Gyoza in the day time. Most shops open only in the evening.